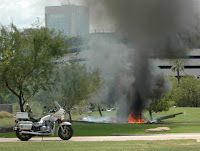 Today in Phoenix, two news copters following a police pursuit collided and crashed in a park near the downtown area. 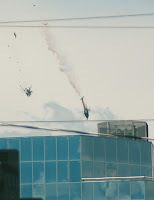 It appears that the pilots and cameramen from both aircraft have not survived. You can read the full story here.